Most of the people that will read this blog post are not disabled. I thought I might share with you some of the challenges of being disabled. 2,280 hours (stated in the title) is approximately 4 months of winter. A big chunk of this time many people in wheelchairs cannot venture outside due to ice and snow. For perspective, my Montreal Canadians in playing an 82 game schedule will consume 205 of these hours. 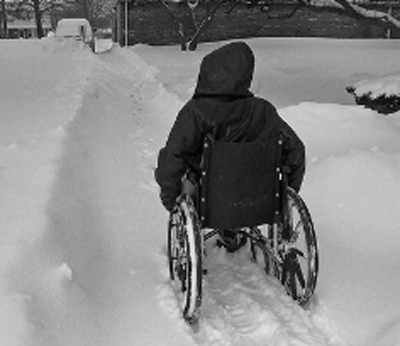 In the winter months when you are confined to a wheelchair in Ontario, your disability becomes much more prohibitive. I use a powerchair outside. When winter comes, bringing ice, slush and snow, I get stuck often. Trails, sidewalks and roads become unusable, not to mention it can be quite cold. I’m a pretty active guy so going for walks (I roll) with my wife and dog are essential to my mental well-being and not just in winter. Everyone one of us can get a bit stir crazy in the winter months, but being in need of a wheelchair magnifies the issue. So back to my quest. There are powerchairs out there that will do the job. The Extreme 8 and Cajun Commando are a couple that I have found. Likely many others exist. The drawback is that they are very expensive. I demo’d the Extreme 8 yesterday at Motion Specialties (the mobility shop I use here in Belleville). It was perfect. It went through snow. I easily went up a slippery, icy hill and even climbed a curb. In my current chair, I often get stuck on the flat surface of my driveway. I’ll take it!!! How much I ask? I’m told “It’s a bit over $15,000. But we don’t charge HST on disability devices”. I thought to myself “Well if there’s no HST then give me two (sarcastically said). Just for info – a fully-loaded John Deere ATV with a snowplow comes in at around the same price. BUT – hold it – my mistake. I’m sure they charge HST. Sales person: “Umm, I’m afraid they don’t come with batteries, that’s extra”. “Gosh.” I said. “Well how much is a battery?” I’m told it’s $280 dollars and… umm… it requires two. Okay. I just recently bought a battery for my small SUV vehicle and paid $120. I’m standing there on one prosthetic leg thinking of my response when the sales person said we can get you both of those items for $1,500. Hmm….I was pretty sure you could go to Leon’s and get a beautiful couch for that price and they would even throw in a 40″ LED TV. Chair value now over $17,000! Here’s the issues. When you are in need of a wheelchair in Ontario there is an organization called ADP (Assistive Devices Program), it’s the equivalent to OHIP but in the disabled world. They will fund a significant portion of an “approved” chair. They will not fund a chair that is not on their approved list. In turn most private insurance companies will not fund once they see that ADP won’t approve. Bottom line power wheelchairs that have been designed to take on the winter challenges that come around once a year will “not” get funding and the disabled person is on their own to pick up the tab. When I asked about ADP’s policy I was told the following. ADP funds only for basic mobility in the home including entry and exit of the home. Basically, essential mobility only. They may recognize that going out to work, for education or for leisure is important but they will not fund it. Again, basic mobility, not quality of life. So my government agency, ADP, cares that I get out of my home and back in but should I wish to head down the road to go to work or get on a city bus – or simply just get some fresh air, I’m on my own. 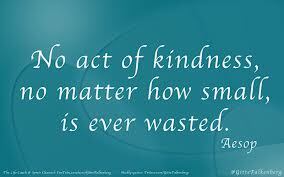 This leaves charitable organizations, fund raising or self funds to solve the concerns of expense. I’m going to try to fight government and unfair policies. I want the ability to function in the same world that a person with two healthy legs can. Even though my injuries are of the physical nature my mental well being far outweighs it all when I become housebound. They know it’s Bryan Cuerrier don’t they? 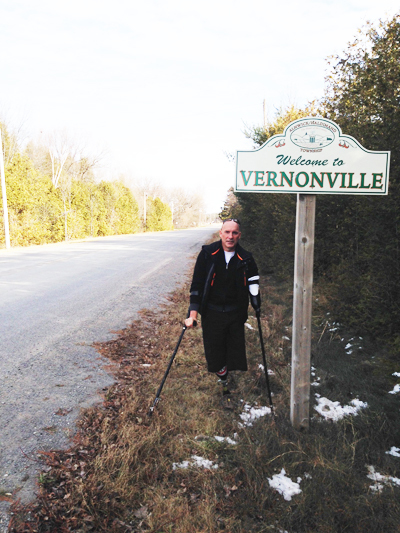 Well if you have never been to Vernonville, Ontario it’s about time you came and visited. Where is it you ask? First of all Vernonville is now where Marijo and I call home (at least for a bit of time). We had an opportunity to sell our home and knowing we were still going to be searching for the perfect disability home we decided to move out of Belleville. Vernonville is very close to where Marijo works and now she can be more at peace with the drive into work. Vernonville is very close to Wicklow and Grafton and Centerton…all major populations areas…..right? 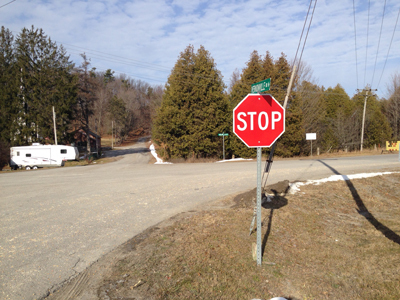 I was doing a little research on Vernonville and found out one of their local milestones was back on May 23rd, 2008 when they received their first and only stop sign. Rumour has it there is a petition going through council to get a speed limit sign erected so cars will slow down just near the hamlets corner store. I found out the store is open every Tuesday and Thursday from 3pm to 5pm. Summer (my dog) keeps staring at me oddly as if to say “what in the hell have you done”. It’s pretty quiet here in Vernonville so don’t be afraid to visit….please! It’s funny how life works…..
My wife will tell you that everything happens for a reason and I know many who share this thought with her. Me, I’m not so sure as I simply see how life plays out not feeling the need to understand why it unfolds as it does. I started school at Loyalist college on Sept 3rd taking Accounting. The first week was orientation and I can’t say I was thrilled with it but understood it’s need for first year students. I missed my actual first real day of class as I had committed to share my story with first year Queens students taking Occupational Therapy. A very cool experience as I was expecting 20 or so and actually spoke before a full house of 90 or so. I wish them all well in their schooling. So off I go on Tuesday and Wednesday taking classes and several things happened. I felt terribly overwhelmed not realizing that the full time course I had entered was going to be a 40 hr + adventure per week. I wasn’t really getting it, I didn’t know anyone and boy everyone seemed so young. The disability card reared it’s head and dammit I was nervous. Well I panicked! I simply couldn’t do it and made a very quick decision to pack it in. I returned my books and started the process of getting my tuition money returned. I honestly felt guilty, felt like a failure kicking myself that I had given up way to quickly. I also admired all the students I was leaving behind knowing they didn’t likely have the option I did. One thing I did do changed everything around again. I booked an appointment with Chef John from the Culinary course (I had actually done this before I decided to drop accounting) to see if my disability would prevent me from taking Culinary. Culinary was my first choice but I had been sad when the system said it was filled up. We met today and he brought me a loaf of bread just baked…well that won me over better then “you had me at hello”. He told me all about culinary and told me he would work with me to catch me up. As a result next week I’m going to switch to the Culinary course but at pace that I can handle. He was amazing and so was all the staff at the school who help me through this little life panic. So off I go on a different adventure. They are getting me an assistant who will be my hands and feet when I need them. It was cute when Chef indicated I would need books , uniform and steel toed black shoes. I told him the shoes might not be necessary….not like I could really hurt my feet…he smiled, he will get used to my humor. So it is funny how life works, just don’t ask me why as I won’t be able to explain it ……..but others might. Swam first two unaided laps at our community pool. I kept going sideways but I did it. I’m going to Ottawa next week to participate in the Army run. Marie Andree will accompany me around the 5km course. Marie Andree was my physio therapist from my stat at the Ottawa rehab center from last December and she is the best! My training is done and I hope to break last years time. 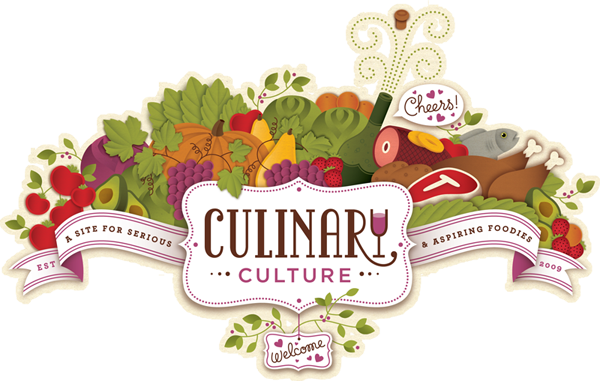 Thanks to Dorothy for sharing her Culinary experience and providing me with insight. Sailing sadly is over for 9 months. 50 years ago possibly to the day I entered into the Canadian school system on a small military base in North Bay, Ontario. I can’t say that I remember much about that day except it was filled with emotion. My mom took me to school and I remember crying and pulling a fit when she had the nerve to leave me there by myself. The teacher sat me down at a table with a coloring book and gave me my instructions. Stay inside the lines she said and use lots of colors. To show her my dissatisfaction with the task that she assigned me I grabbed a purple crayon and violently drew many circles through the page. She immediately knew I was not artistic but I’m guessing autistic wasn’t far off in her thinking. I never really did all that well in all my school years getting just good enough grades to keep everyone happy. I only finished grade 12 and always felt a small regret that I had not gone further. So 50 years later I returned to school and for now have entered into a two year accounting/business program at Loyalist college here in town. I had some disability concerns today as I’m not quite sure how to carry things. I may have to bring my power wheel chair to school. I had some pretty heavy books to purchase and carry back to my car. A very nice books clerk jumped me ahead of 50 or so students to the front of the line. I couldn’t look back at them feeling very sheepish…thank you Flesh eating at times you come in handy. It felt odd to sit amongst 20 year old’s and once or twice I questioned why I was there. A teacher came in and gave us a homework assignment, said we needed to research the answer and turn it in by next Tuesday. I swear I looked at this sheet 10 times now and I don’t see a question or a subject…must be in code! We played icebreaker games to get to know each other better. Marijo has warned me to behave around the young pretty ladies. I guess that means I can’t bring up my idea of introducing school uniforms…I simply love plaid. So time to turn on my brain and travel down a new road. I’ll keep you posted as to how it’s going. Finished 9th in sailing Golf Fleet recently in Halifax. Very cool to race on the ocean. Will head to Ottawa in a few weeks to do my second 5km Military run. Giving a speech to Queens University, Kingston, Ont , first year Occupational students Monday, Sept 10th. Often in my new world of amputations it is assumed I am or was in the military. For sure this gets magnified by living and being around the community of Trenton. Trenton is home to the largest military base in Canada. I have been asked many times regardless of where I have been whether or not I am military. Today I was at our sailing club Quinte Sailability at CFB Trenton Yacht club and Fletch, and our two amazing sailing instructors Alex & Vanessa and I decided to go for a cup of coffee at a Timmies outlet on the base. After having ordered, enjoying our treats a young employee from Tim Hortons came over to me and with a smile handed me a $20 gift card explaining a gentleman approached the counter, purchased the card and told her upon delivering it to me that he wanted to thank me very much for serving our country. Well this always does a few things to me. Firstly I usually feel some guilt that I have been mistaken for something I am not. 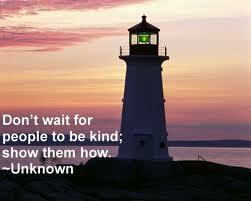 Secondly the kindest that people have even if they were mistaken. I quickly asked her if the man was still in the store but she explained that he had left. I thanked her very much not seeing the need to have to explain. I handed the card to Alex & Vanessa and told them to enjoy. To the gentleman that bought me this small gift I simply say thank you ….your kindness would surely be most appreciated by all military folks and by myself. I would have loved to have bought him a cup of coffee. Anniversaries are a funny thing. This past Saturday was May 18th 2013 and just happened to have been the 3 year mark since my life headed in a very different direction. Necrotizing Facsiitis or more commonly know as Flesh Eating disease is a pretty nasty infliction and unfortunately just the item that caused this new direction. I’ve had others who have almost said they are sorry for this anniversary for me as they feel it’s a reminder of something terrible that happened to me. I personally view it quite the opposite. For sure I wished it had never occurred but that fact is that it did and I celebrate the heck out of this date. Each year that now comes and goes seems a time to reflect for all the really cool things Marijo and I have done since. We have participated in many speeches telling our story, traveled to wonderful locations with all modes of transportation. Discovered sailing, ran a few 5km races, got 3 beautiful grandchildren, my son got married, we have an amazing dog and are making our little home a special place to live. Even more important is that I am surrounded with friends and family which I cherish.I know I’ve missed a bunch of stuff we have done but who cares I survived and life is happening. Would I like my legs back….you bet I would! Bring on many many more anniversaries I will love them all. Stir Crazy is a phrase that dates to 1908 according to the Oxford English Dictionary.Used among inmates in prison, it referred to a prisoner who became mentally unbalanced because of prolonged incarceration. It is based upon the slang stir (1851) to mean prison. It is now used to refer to anyone who becomes restless or anxious from feeling trapped and even somewhat claustrophobic in an environment, usually a confined space, perceived to be more static and unengaging than can any longer continue to hold interest, meaning, and value to and for them. Sorry for the long winded explanation but I found it interesting. Even though I’m approaching my third anniversary of being disabled I guess I’m still pretty new at it all. I was getting a bit anxious in my home during the long winter months as I became more and more housebound. I was on edge, couldn’t figure out what to do with myself, irritable and seemed to go through moments of simply feeling like a dog waiting for their master to come home to take their minds off of the boredom. I announced it’s a vacation we need and soon spring will be here. Good weather allows all sorts of different activities from gardening to washing cars to golfing and sailing to romps in the park with our puppy. Off to the Bahamas for sun filled days of sailing and back home now with Spring well underway. Problem solved…….hmmmm not really as it’s all creeping in on me again. I try to smile and be happy and socialize but I realize I’m missing something very much and it’s maybe what a disabled person seeks the most. Self worth, self value, a sense of purpose for their new detour in life. I need to do more then stare at a computer screen or clean a kitchen or get a meal ready. I want to feel whole again and yearn to understand the road I’m now going down and where it can take me. My doctor in Kingston told me one day a word of caution “Bryan your too smart (don’t laugh) and have too much drive to be content to stare at four walls all day. I think his message is ringing loud and clear now. This is not a pity blog rather from time to time I like to express what’s in my heart. I know there’s a wonderful world out there with many opportunities that I must find for myself. Maybe it’s a return to work or a new activity that I’ve yet to discover. I’ll keep looking….keep smiling and try to keep positive. Life is full of challenges and this is one I must succeed at. The most important thing is I’m loved and have an understanding partner, amazing friend and family.